Prominent & Leading Exporter from New Delhi, we offer led mercury sphygmomanometer, aneroid sphygmomanometer, novaphon mercurial sphygmomanometer deluxe, lcd mercury sphygmomanometer, wall model mercurial sphygmomanometer and aneriod sphygmomanometer fix dial. 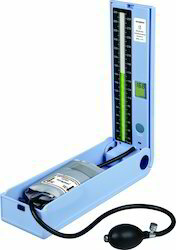 We are the leading supplier and manufacturer of novaphon LED mercury free sphygmomanometer. Under the able guidance of our trained professionals, we offer Wall / Table Model Aneroid Sphygmomanometer around the world. We use highly developed technologies and machineries for manufacturing each product. These products provide features, such as analog display, comfy hand belt, easy wall mounting functions and extendable curled wires. Our Sphygmomanometer is reliable in its results and is widely preferred by all doctors for finding out accurate blood pressure. Backed by the sound state-of-art-infrastructure, we offer Novaphon Mercurial Sphygmomanometer globally. We manufacture product using special components to maintain its international standards. These are commonly used by the doctor trainees and nurses. For its effective performance our technicians installed 2-tube rubber arm bag and chrome plated air control valve. It widely preferred for its low maintenance cost and can be easily installed. 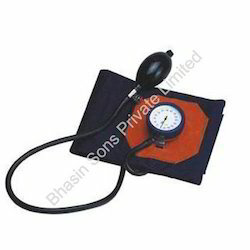 This Sphygmomanometer is light weight and is highly portable. 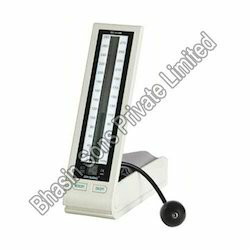 We are the Leading supplier and manufacturer of LCD mercury free sphygmomanometer. Our experienced and talented technicians allow us to manufacture and export Wall Model Mercurial Sphygmomanometer.We manufacture these products using high grade raw materials that are in compliance with the international quality standards. 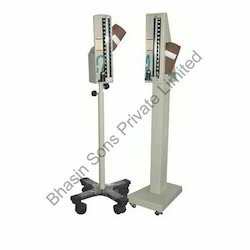 We at, Bhasin Sons Private Limited are engaged in manufacturing and exporting a wide range of Aneroid Sphygmomanometer Fix Dial. We use modern technologies and machineries for the process of manufacturing these cases. Our products are significantly featured to be maintenance free, reliable and sensitive. These products cater a wide range of medical applications to determine the blood pressure of a patient at an ease. 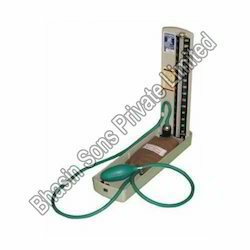 We are experts in manufacturing and exporting Stand Type Mercurial Sphygmomanometer ISI around the globe. With prior importance to maintain the quality of the products, we have installed a testing laboratory with higher testing equipment that tests the quality of the product in various parameters. These products are designed in such a way that it can be moved to any other room where the temperature is to be identified. 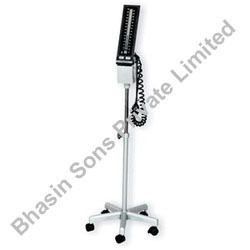 We are experts in manufacturing and exporting one of the best BP Apparatus of aneroid type namely Mercury Sphygmomanometer Stand Type. These products are manufactured in accordance with the analysis of precise medical specification using advanced equipment. 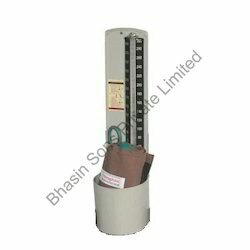 Here in this type of sphygmomanometer mercury is the vital components helps in reading the blood pressure of the patient, which rises according to the pressure rate of the human. Under able guidance of our skilled professionals, we offer Mercury Free Sphygmomanometer all over the world. We use sophisticated technology and machinery for the process of manufacturing these equipment. Owing to its user-friendliness, we offer it at an affordable price. 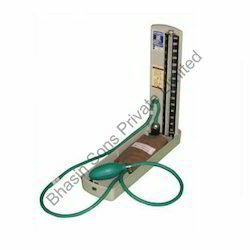 It is widely used in determination of the blood pressure of the patient, which is operated without mercury. These sphygmomanometers have huge appreciation across the world. Under able assistance of our skilled professionals, we offer an abundant range of Digital Sphygmomanometer Fully Automatic. We use high- tech machineries and raw materials for manufacturing these products. 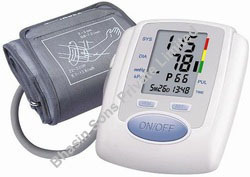 This Sphygmomanometer is completely automatic with advanced digital system. It is widely applicable to note the blood pressure and pulse rate. The efficient screen, LED display and longer life battery are the desirable feature of this product. Our expert team allows us to manufacture the Mercurial Sphygmomanometer ISI all over the world. We manufacture these products using finest quality raw materials purchased from leading vendors around the globe. These have vital features, such as ensure long life, better accuracy, compact and Easy to operate and maintain. 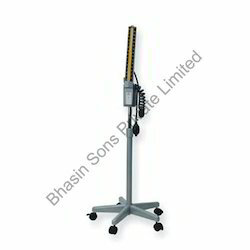 It is mostly used in hospitals for checking the pressure level of the human. 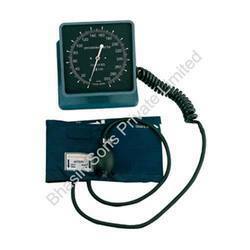 We are the leading manufacturer and exporter of DUAL USE LCD MERCURY FREE SPHYGMOMANOMETER. novaphon LCD Sphygmomanometer mercury free Measurement Method: Korotkoff-Souna/OscillographyYou can choose the measue method by the buttonLCD display, With AC 3V interfaceWith backlight and dial line inner the LCD, easy for reading"Err" indicatorSystolic - Diastolic and Pulse RateEasier to read. Quickly and accurately measures With Cuff and D-ring, two tube and Bulb Power: 2 AA BatteryPower off automaticllyWeight: 1KG approx. 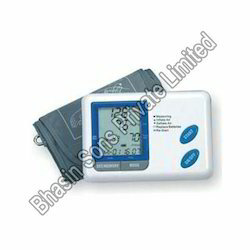 We are the leading manufacturer and exporter of Digital Arm Sphygmomanometer with charger. We are the leading manufacturer and supplier of Stand model mercury free sphygmomanometer.